Is It Really a Chinese Crisis? The financial media has used some colorful language to describe China’s stock market this year. The words “turmoil,” “bloodbath,” “wreaking havoc,” and “ripples of panic” have shown up in quite a few headlines. But that might be slightly overstated. China is important; but it’s not everything. 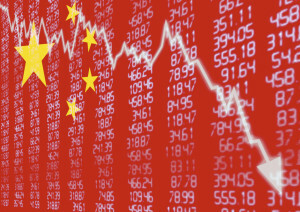 Why Did China’s Stock Market Crash? It’s been no secret that China has seen slowing economic growth, lower trade, and growing debt recently. So why the crash now? It likely has more to do with panicky investors than fundamentals. On the first trading day of the year, a circuit breaker triggered by a slide, halted trading and spooked investors. Also, the Chinese market is dominated by speculative investment more so than Western markets, which makes it particularly vulnerable to uncertainty. The Brookings Institution estimates that 85% of Chinese market trades are made through individual investors who are focused on short-term price movement. Individuals tend to have a herding mentality, and this exaggerated the sharp decline. So here we are. China’s stock market is down about 14%. How Will Chinese Markets Affect the Rest of the World? China is the largest trading partner of 130 countries. It has overtaken the U.S. as the largest economy in the world, so investors have every right to be concerned about the ripple effects of Chinese markets. The drop in growth and trade is also partly due to the Chinese government’s shift from a higher-growth manufacturing economy to more stable and sustainable growth driven by consumer demand. All in all, China is too big to not affect global markets. But the recent declines have been extreme and more than likely overstated. Should You Stay Away From Chinese Exposure? Chinese reforms will play a major role in the country’s future market and economy. China recognizes its current model relies too heavily on fixed investments and exporting, and does little to mitigate income inequality or pollution. It has increasingly focused on technological advancement, improving social safety nets, and letting the market drive pricing (even for state-owned enterprises). Admittedly, it’s unclear whether the government can implement these reforms fast enough. The recent Chinese market crisis has certainly gained attention. However it’s worth noting that the Chinese symbol for crisis is made up of two symbols that translate to danger and opportunity. The recent decline could be an opportunity to buy assets on sale and take advantage of the likelihood they are driven more by fear and panic than sound fundamental evaluation. At CLS, we believe China is significant and we’re watching movement there closely. But we know it only plays a small role in our risk-budgeted portfolios.